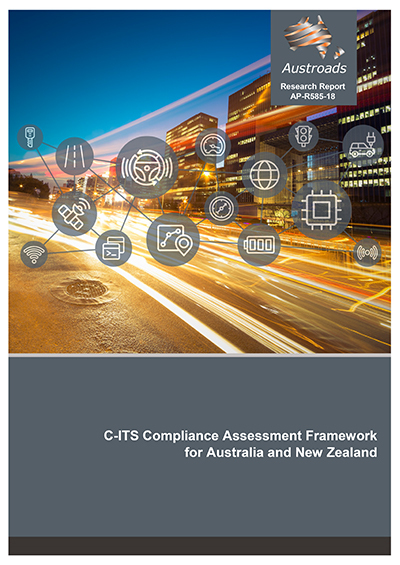 Austroads has published a report assessing options for the development of a compliance assessment framework (CAF) for cooperative intelligent transport systems (C-ITS) in Australia and New Zealand. C-ITS deployment is in its infancy. Europe and the USA are leading the global developments, driven by the industry wanting to develop the automotive market by bringing voluntary C-ITS services quickly into the market. In Australia and New Zealand significant C-ITS research work has been undertaken. Moreover, both countries are proactively undertaking connected and automated vehicle trials. The technology is rapidly evolving and the public and private sectors are investing substantial amounts into developing and testing C-ITS technologies. Industry has stated its intention to start large-scale deployment of C-ITS enabled vehicles in 2019. For this to happen, coordination is urgently needed. A C-ITS compliance assessment framework validates ITS stations through a set of tests intended to assess the level of their compliance throughout their whole life cycle. The tests ensure that only valid ITS stations are deployed in the field and are safe, fit for purpose, interoperable and support an open vendor market. The report covers the key findings from a literature review and the stakeholder consultations, and describes the main options for the C-ITS CAF. It also provides guidance relating to key topics, such as governance architecture and approval processes. Determine the approval procedures and conformity assessment criteria. Join us for a free webinar on Tuesday 11 December, 3pm AEDT for an overview of this study by the report authors Jesper Engdahl, Dr Cornelie van Driel, and David Green. No charge but registration essential. Can’t make the live session? Register and we’ll send you a link to the recording. Register now!